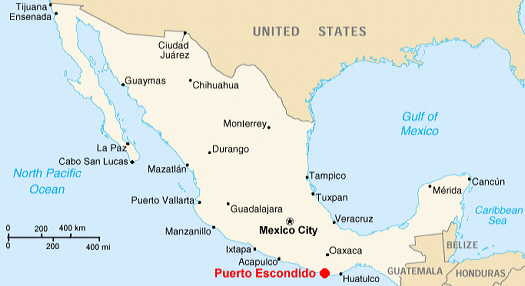 This was adapted from Tom Penick's city map of Puerto Escondido. 1/250,000 scale topographic maps of Mexico are available from Tamassee.com. 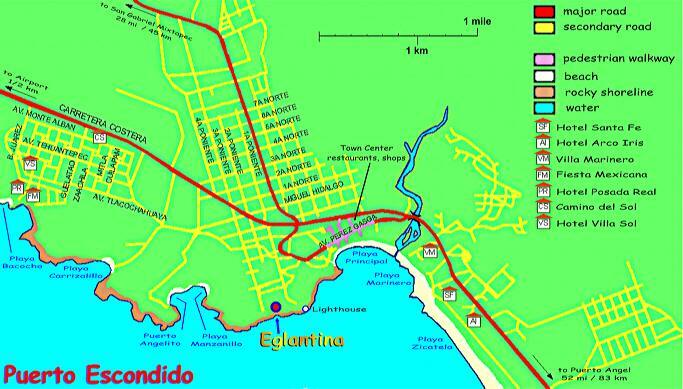 Three maps(size 3' by 2' each)cover the coastal area from Huatulco to northwest of Puerto Escondido and inland to north of Oaxaca City. The maps are about $10.00 each. Another online map source is Omni Resources. The way they index their map selection is easier to use than the Tamassee.com site.